Some beautiful heart designs don’t need to be red. 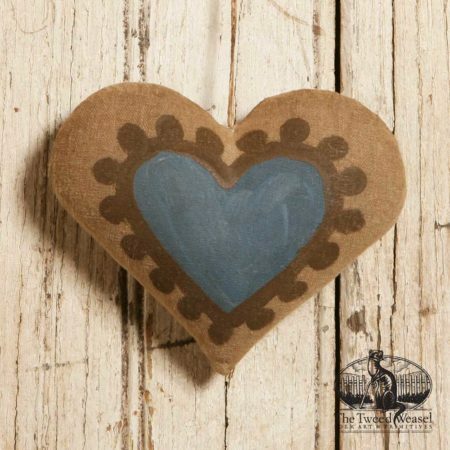 This puffed fabric ornament design features a warm blue heart surrounded by hand-painted brown jewels. Designed and hand-finished by Tish Bachleda.